Dogs and Cats - Midi Hanging Box - Grow Children's Boutique Ltd.
Approx. 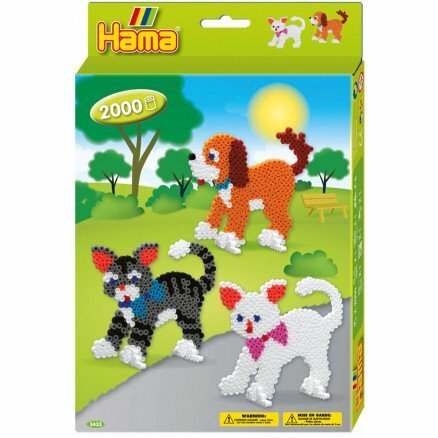 2.000 beads, 2 pegboards: Dog No. 287 and cat No. 288. 6 bead supports, colour printed design sheet, instructions and ironing paper.